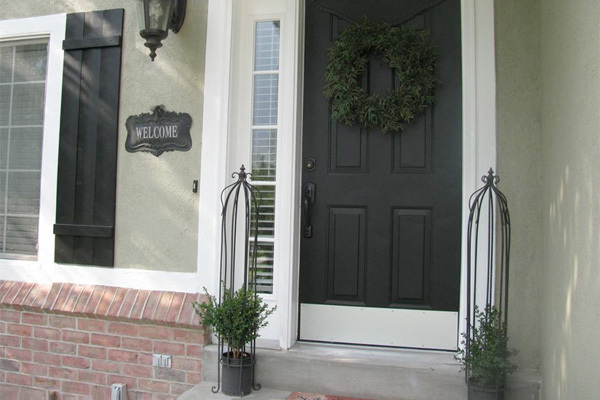 A new steel front door tops the list of home improvement projects with the best ROI, boasting a long-term return of 98%. Although kitchens and bathrooms always steal the spotlight in a home remodel, they aren’t necessarily the ones that have the highest return on investment when you sell your home. Since 2002, trade magazine for contractors and builders “Remodeling” has been tracking how much it costs to do common home improvement projects — and then calculating how much of that cost is recovered when the home sells. But this year, we decided to focus not just on the new data, but how projects have performed since 2002. Well, you may want to reconsider turning that spare room into a full-fledged office. A home office remodel had the worst overall ROI of 52.6%. The project’s been declining since it was added to the study in 2005 with an ROI of 72.8%. The biggest jump we’ve seen? Backup generators, which had some of the lowest ROI rates over the years — as low as 47.5% in 2011 — leapt to 52.7% in 2012 and then took an almost 15 point jump to 67.5% in 2013, thanks to Hurricane Sandy and extreme weather. But the real gems are those projects that don’t have such highs and lows — the ones with consistent ROI. We’re not saying these steady and reliable projects are the ‘right’ ones for you. If a home office will improve your quality of life and help you enjoy your home more, then it makes sense. We just think knowing what’s going to happen with your remodeling dollars makes sense, too. It’s also the lowest-cost project in the annual report at $1,230. It’s an energy upgrade that has great curb appeal and needs virtually no maintenance. No other feature has as much impact on curb appeal as siding. Clean, well-cared-for siding signals home improvement mastery. Old, worn siding can contribute to a loss of up to 10% of your home’s value. That’s one reason new siding has such a high ROI. In fact, of the top 10 long-term averages from the “Cost vs. Value Report,” three of them are replacement siding projects. Vinyl siding is low-cost, durable, and easy to install, hitting all the right notes when it comes to getting a good return on your home improvement dollar. Best of all: It’s a low-maintenance feature that frees up your time. In a 2013 survey of homebuyer preferences from the American Institute of Architects (AIA), respondents voted low-maintenance products the most popular characteristic of home design — a preference that’s trending up from previous AIA surveys. Today’s vinyl siding includes fade-resistant finishes and transferrable lifetime warranties that are much more confidence-inspiring than the 10-year guarantees of just two decades ago. Over time, midrange vinyl siding replacement projects have returned 81.5% on the initial investment. Fiber-cement siding also shows a strong ROI, with the second-best return of any project in our long-term look at the “Cost vs. Value Report” — 83.9%. Although it’s more expensive than vinyl, it has one thing vinyl still lacks — the perception of quality. That’s important to homeowners and homebuyers. In a survey from the National Association of Home Builders (NAHB), “quality” was the one of the most important traits that homebuyers focused on when shopping for a house. Foam-backed vinyl is another winning project, with an average long-term return of just under 80% and a cost that’s slightly more than fiber-cement. But foam-backed vinyl has a trick other sidings don’t — it’s an energy-efficient upgrade, with an R-value of R-2 to R-3. 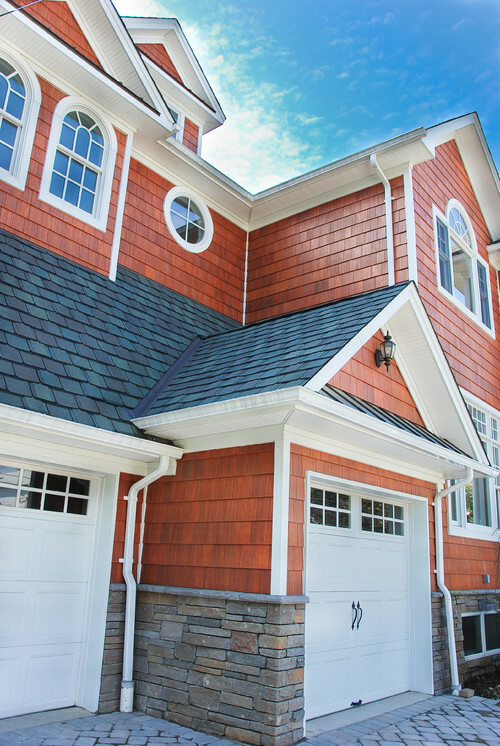 During a research project on residential energy efficiency conducted by the technical analysis firm Newport Ventures, homes clad with foam-backed vinyl siding showed an average energy savings of 5.5% over a two-year period. That’s music to any homeowner’s ears. According to the AIA, energy-efficiency is the second most popular characteristic of home design — a feature that helps you save money for years to come. 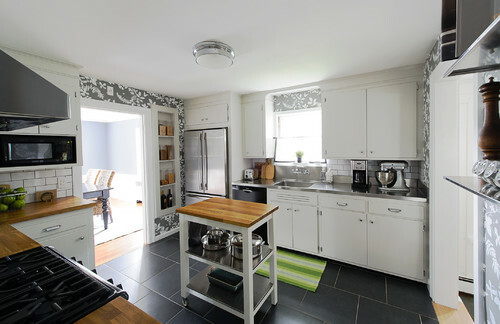 We’re not talking about the dream kitchen remodels that are plastered on Pinterest and Houzz. Those types of remodels took a big hit on ROI during the recent recession. But a minor kitchen remodel weathered the economic bumps with an average return of 81.8% over the years, helped by a relatively modest financial commitment — the 2015 “Cost vs. Value Report” pegs the cost at $19,226 (that includes labor and new cabinet doors and drawer fronts, countertops, flooring, and appliances). Recession or not, a minor kitchen remodel beat out a higher-end kitchen remodel every single year, with its highest recorded ROI at 98.5% in 2005. That’s underscored by stats from Harvard’s Joint Center for Housing Studies that show that over the last 10 years, homeowners have spent more on kitchen remodeling than any other home improvement category. That indicates homeowners don’t seem to be as concerned about the ROI on a kitchen remodel as they are about how the kitchen works for them personally, and maybe a bit about injecting their own personalities into the hub of the home. A 2013 survey from NAR found that 53% of buyers undertook a remodeling project within three months of purchase, and of those, 47% dug right in and remodeled their kitchen. 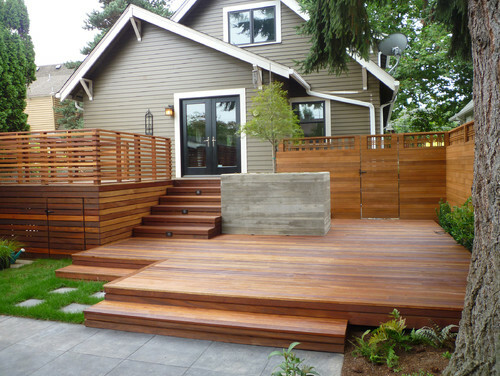 Deck additions have been popular projects with a high ROI but, like a lot of investments, decks fell off during the recession. Indeed they are, in they past two years vaulting over bathrooms and other improvements on our list of long-term winners with an average ROI of 80.6%. Although homeowners annually build about twice as many patios as decks, both outdoor projects benefit from our ever-increasing love of outdoor living, a trend that looks to continue for the foreseeable future. One big reason is that decks and patios are a sweet way to expand living space at a low cost of $8 to $30 per square foot — a bargain compared to the $150 to $300-per-square-foot cost of a new home addition. 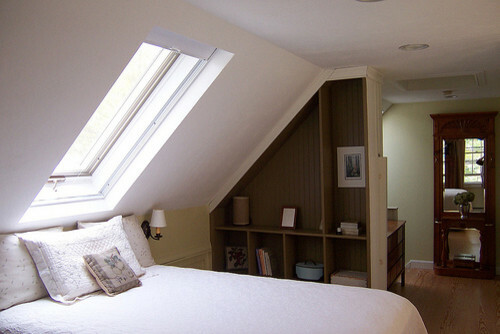 Attic bedroom remodels join our list of smart investments with an overall ROI of 79.3%. Attic conversions were especially popular during the recession, when homeowners put off buying move-up houses and instead turned to increasing the living space they already owned. Makes sense with the rise of multi-generational households over the past few years. Converting an attic to a bedroom increases living space without increasing your home’s footprint — the walls, floor, and ceiling already exist — which helps keep remodeling costs under control. 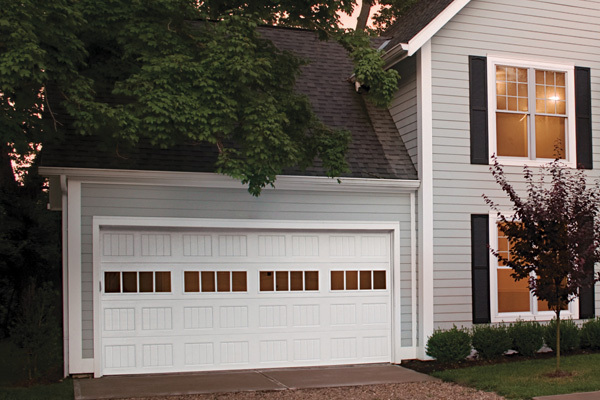 No surprise that a garage door replacement project made it onto our list of all-time winners — a new garage door provides a big boost for your home’s curb appeal. In fact, of our top 10 long-term champs, most are exterior projects that ramp up your home’s good looks and enhance marketability. A project that replaces an older, two-car door with embossed steel door has a current cost of about $1,600. Over the years, midrange garage door replacement projects have returned a healthy 80.7% of a homeowner’s investment. Why aren’t home office remodels as popular as they were 10 years ago? Probably because we’ve come to rely less on dedicated office space and more on mobile hardware that lets us conduct business from any room in the house. Cloud storage puts documents a click away — not in a file cabinet — and our smartphones keep us connected 24/7, not just when we’re in the office. That sensibility frees up spare rooms for other uses, especially bedrooms, bathrooms, and storage. Another project, sunroom additions, appears to have gone the way of sunken living rooms and parlors. They used to be fashionable, but today we know sunroom additions are difficult to heat and cool, and, at $300 to $400 per square foot, they’re expensive to construct. You’ll get almost the same benefits — and more fresh air — with a much cheaper to build deck or patio. It’s true: A rising tide lifts all boats. Over the past couple of years the stabilizing economy has helped produce better returns on most remodeling projects. That’s good news for homeowners, who can be assured that their remodeling dollars are garnering better returns when it comes time to sell, and generating more enjoyment of their homes in the meantime. Stop storing all your junk in your attic and start using it as a room. It may be a small space, but it has so much more to offer than burial grounds for all the stuff you can’t bear to part with. You could turn it into a beautiful bedroom, an office or even a personal home theater. If you’re having trouble visualizing your attic’s potential, here’s some information to help you along. But warning: These 10 attics might put yours to shame. 1. 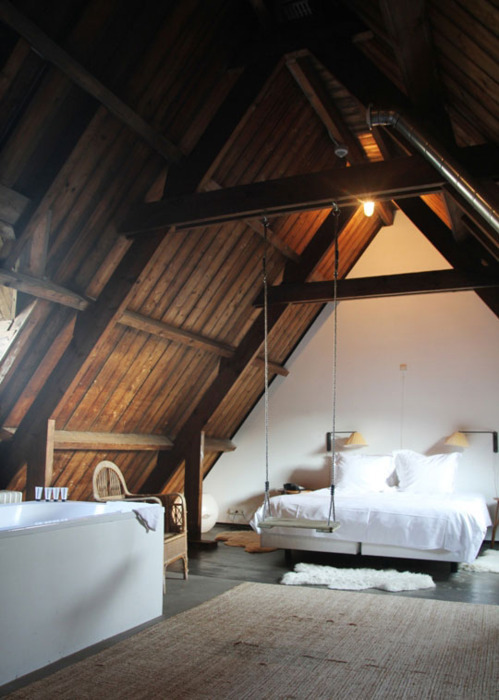 This bedroom attic has a swing and that just makes it even more fun. 2. 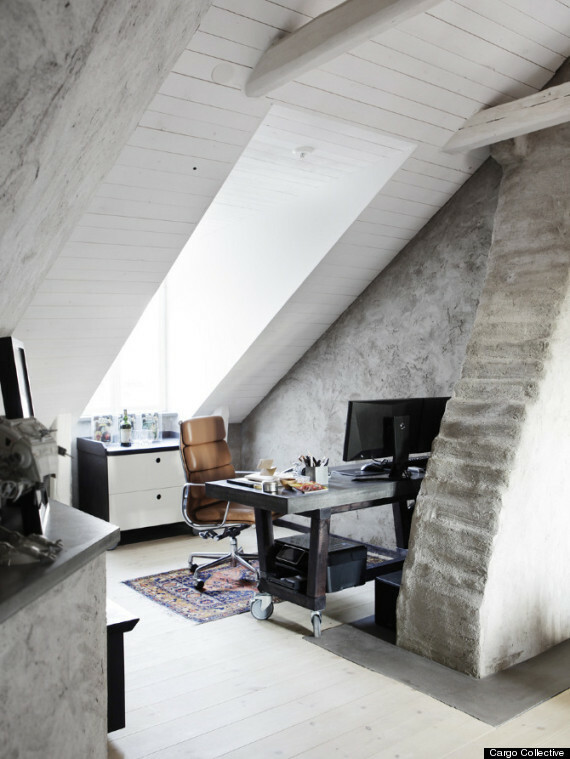 This attic is the perfect spot for a cozy home office (with just enough space for a mini bar). 3. 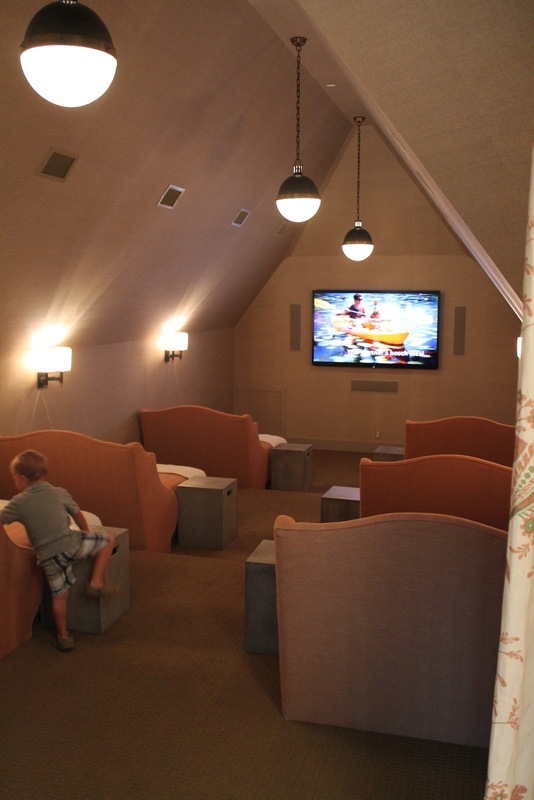 This attic was transformed it into a personal movie theater. 4. 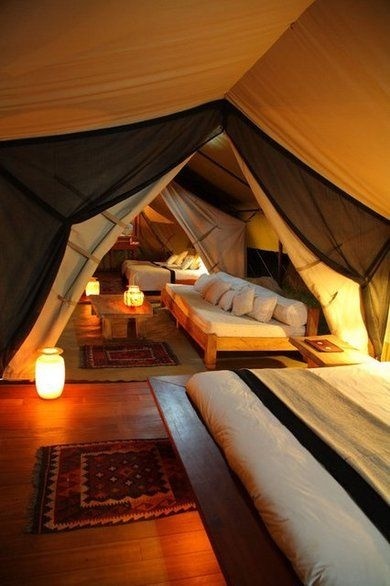 This tented attic makes for a relaxing lounge area. 5. 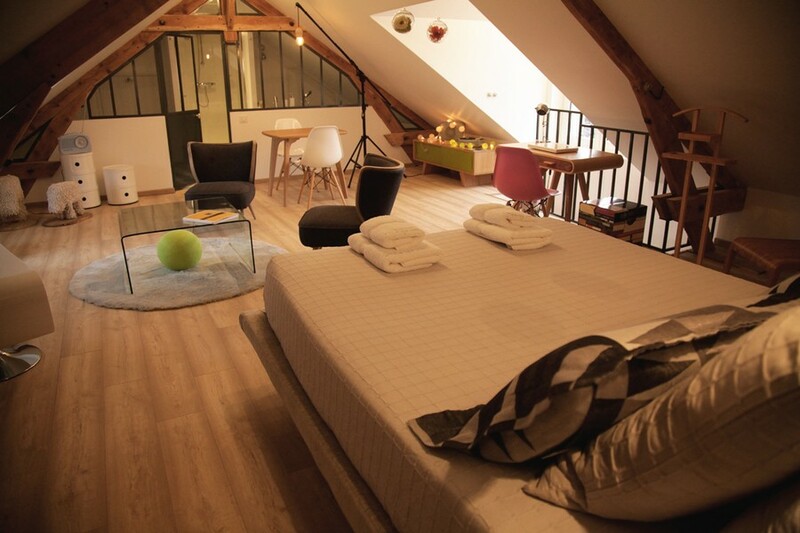 This bedroom attic is basically a whole apartment in itself. 6. 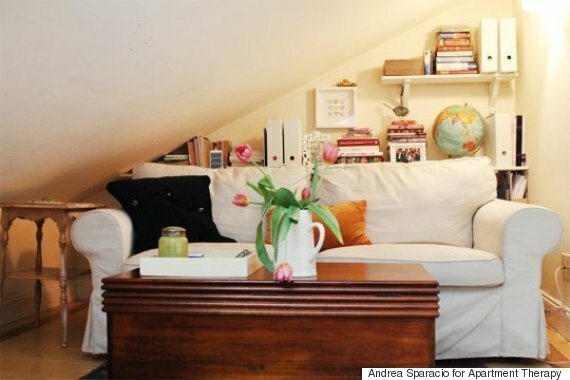 This attic and sofa couldn’t be a cuter pair. 7. 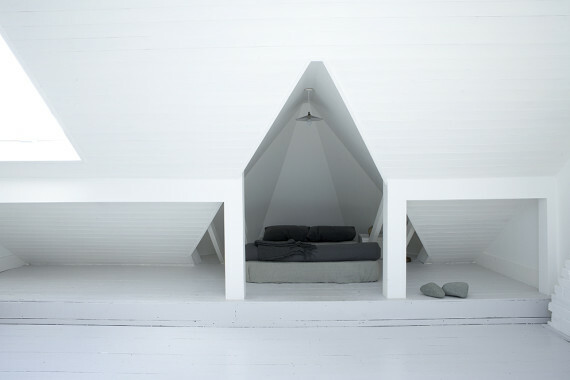 This attic kept it minimal for a really striking effect. 8. 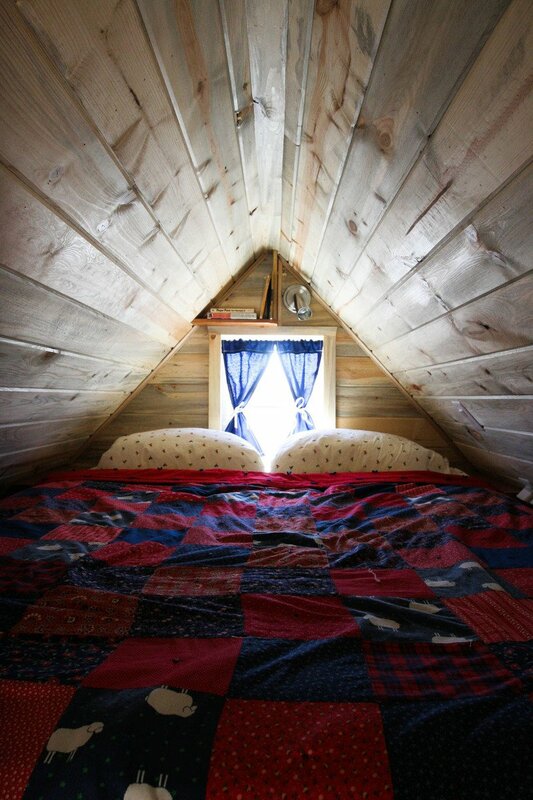 This attic bedroom is like sleeping in a cozy tunnel. 9. 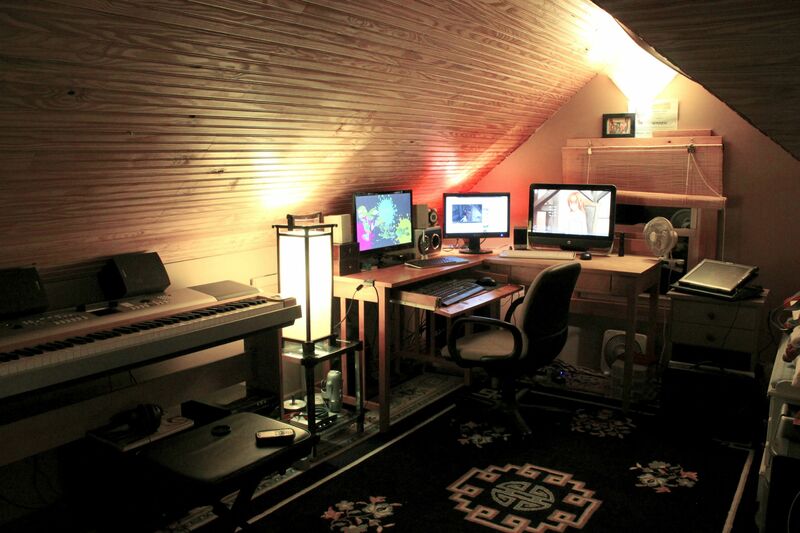 This attic proves to be the perfect place for a man cave. 10. And just check out the view an attic bedroom has the potential to give you.